The young lady is too busy with studies these days that she can’t find time to draw. All of her drawings are remarkable (that’s her number one fan talking here 🙂 ), but this one is too cute not to share. The Glee cast. 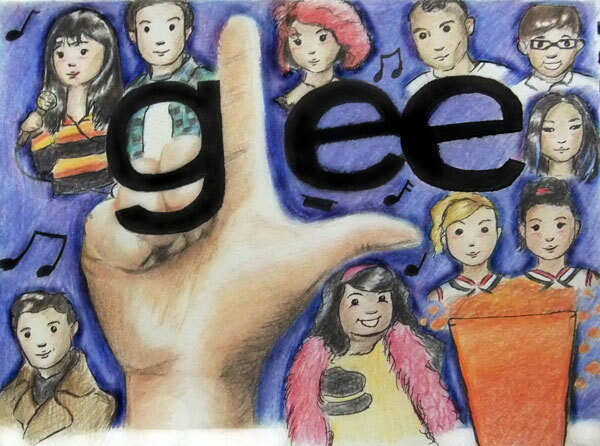 (From top left to bottom) There’s Rachel, Finn, Quinn, Puck, Artie, Tina, Santana, Brittany, Mercedes, and Kurt right there. I miss Finn. This entry was posted in Artwork, Celebrity and tagged cory monteith rip, finn, glee cartoon cast, glee cast, glee cast drawing on July 24, 2013 by Yami.